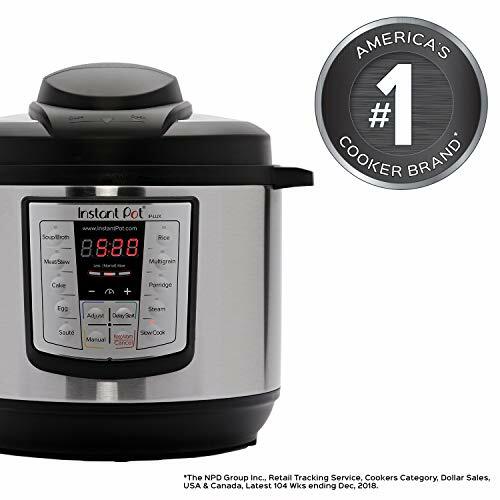 Instant Pot is a smart multi-use Electric Pressure Cooker designed with the objective of being Convenient, Dependable and Safe. 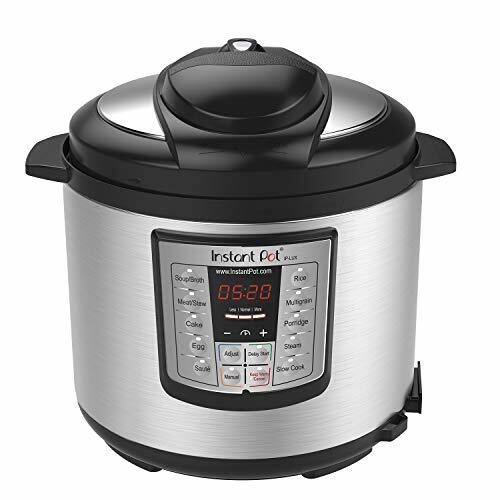 It speeds up cooking by 2-6 times making it extremely energy-efficient, while, preserving nutrients and preparing healthy, tasty dishes. 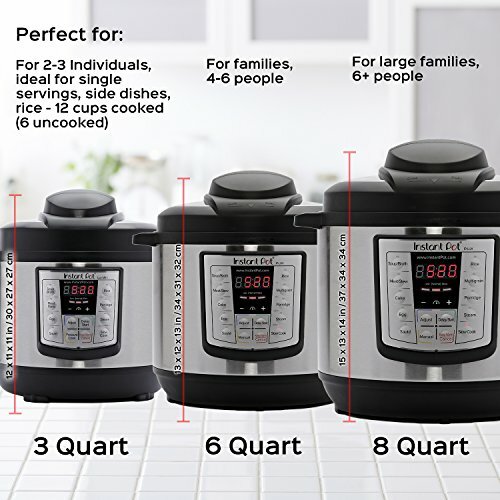 Instant Pot Lux V3 6 In 1 Programmable multi-cooker replaces 6 kitchen appliances, it combines the functions of a Pressure Cooker, Slow Cooker, Rice Cooker, Sauté, Steamer, and Warmer. 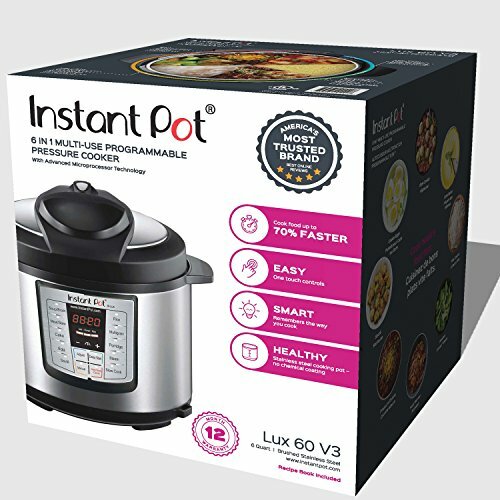 12 smart built-in programs – Soup/Broth, Meat/Stew, Cake, Egg, Sauté, Rice, Multigrain, Steam, Porridge, Pressure Cook, Keep Warm and Slow Cook, your favourite dishes are as easy as pressing a button. 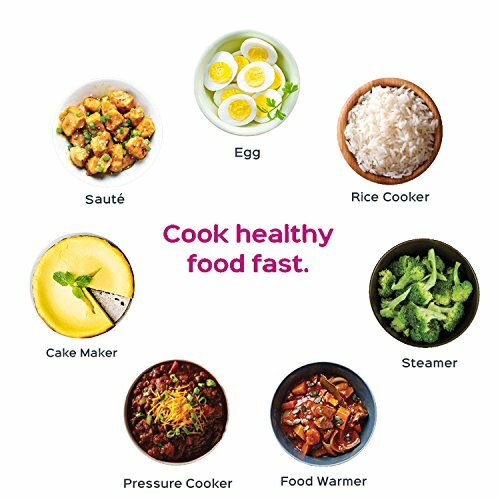 The new Cake Maker is ideal for New York style cheesecake, banana bread and other moist cakes, the Egg Program prepares, soft, medium and hard-boiled eggs perfectly in just a few minutes. Built with the latest 3rd generation technology with an embedded microprocessor. 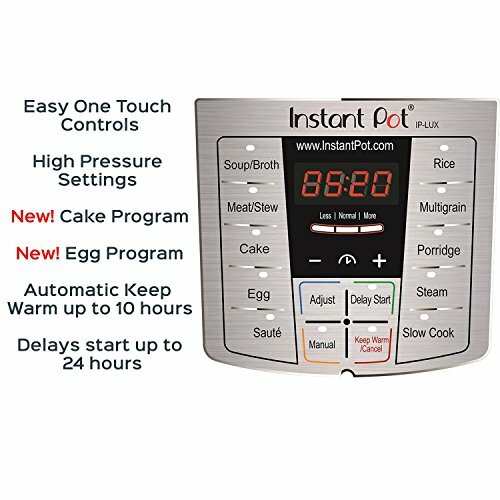 During cooking the microprocessor monitors pressure, temperature, keeps time, and adjusts heating intensity and duration. Even the volume of food is taken into consideration, all greatly improving cooking results and consistency of the dishes. A 24-hour delay start timer for delayed cooking. Automatic keep warm holds the temperature of the dish until you serve. The fully sealed environment traps the flavours, nutrients and aromas within the food without heating up the kitchen. 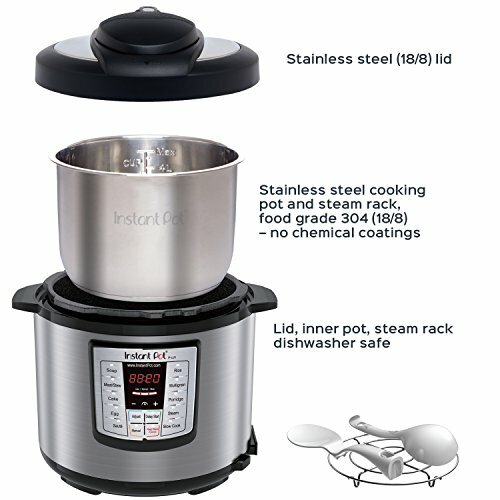 The 3-ply inner pot stainless steel bottom is extremely durable and leaves no health concerns as associated with non-stick coatings. Bushed stainless steel exterior is finger print resistant with a large, clear display panel. UL certified, carefully designed with 10 proven safety mechanisms to eliminate many common errors that could cause harm or spoil food providing you uncompromised assurance. 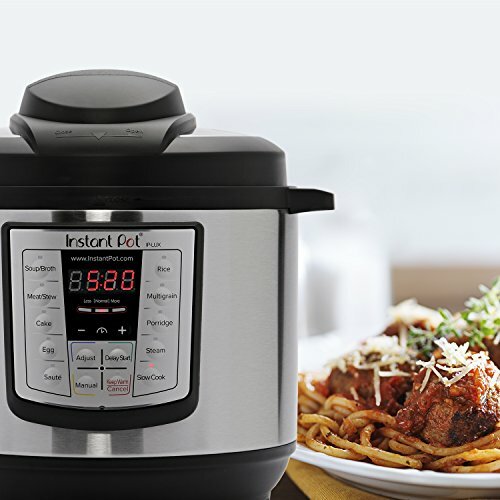 Instant Pot is the ideal kitchen appliance for your faced-paced, healthy lifestyle. Power Supply Cord: 33 inches, non-detached, 2 prong plug. Power supply: 120V – 60Hz.